Hi there Doodlebug fans! Nicole back on the blog again to celebrate the holidays using the new Christmas Town collection! I have this thing with patterned paper, I really hate to not use a lot of patterns, so this time, I punched several circles from various papers in the collection in several sizes and built my own tree on one side of the page. I used foam adhesive to pop all those circle up and add lots of dimension. 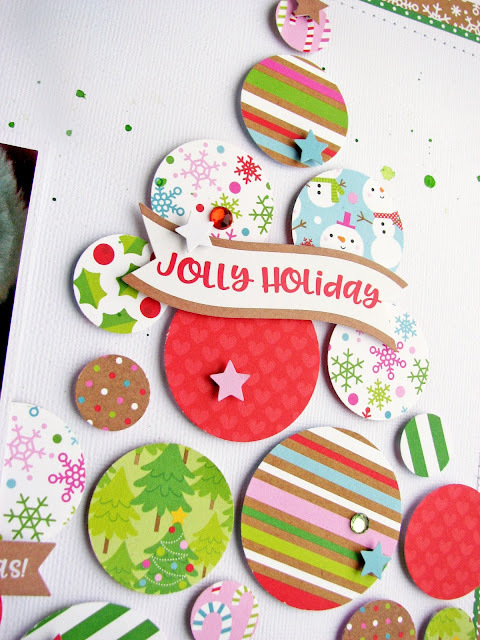 The variety of circles adds some visual interest and makes the tree very whimsical too! Next, I added in several stickers and bling to parts of the tree for a little holiday sparkle! 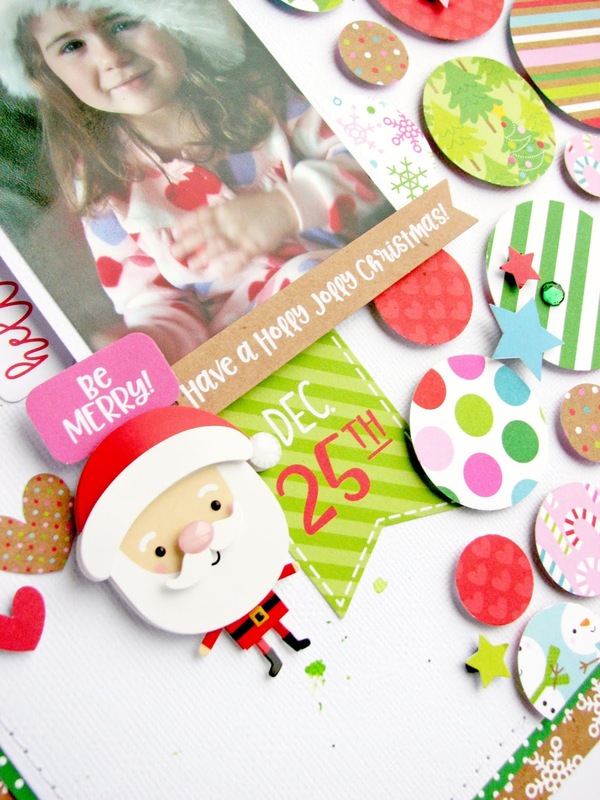 I couldn't resist adding in the fun Doodlepop Santa Claus and some Odds & Ends diecuts to the bottom area of my photo. The perfect touch to finish off the page. I hope you are inspired to mix and match patterns from this great holiday collection. Love that circle tree!! So fun!